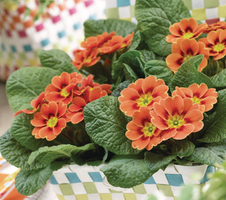 The Florensis assortment includes Primula varieties that set the standard for the industry. The PrimeTime series offers everything that growers and retailers need from the beginning to the end of the season. 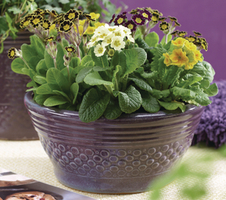 Our Hidden Treasures form a complete range of special Primula products which has been assembled for the niche market. With varieties from our own breeding programme and from other breeders, we offer highest standards and the latest young plant developments to meet current market requirements. This new trend is the result of successful breeding. All series have the right combination of modern breeding characteristics and botanical ‘Wild’ looks. Hidden Treasures consists of our primrose series which survive under any circumstances: bad weather, rain or snow, but also sun and spring heat. In the city or the countryside, on a balcony in flowerpots or in cottage gardens. It doesn’t matter where, it’s always a pleasure to keep these new ‘wilds’ with their outstanding qualities. It’s time for PrimeTime! 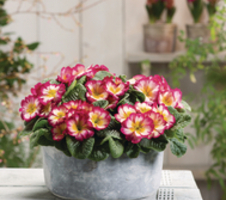 PrimeTime is our trademark for the high quality Florensis breeding primrose series. Our PrimeTime series need less growth regulators and can therefore be produced more sustainable. PrimeTime flowers succesively from early till late, offering an identical colour range and large flowers on compact plants. The PrimeTime series Salome, Cairo, Luxor and Esna follow each other consecutively, always with uniform products. 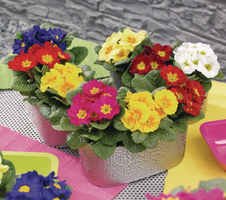 As first spring flowering crops, PrimeTime primroses bring the bright colours of a new season to your clients from mid December until the end of March. All flowers can be found on our website, but you can also download our catalogue.